Home » Uncategorized » You Recovered from a Google Penalty: What Now? Your website was one of the thousands that Google went after with their recent algorithm changes and you were not lucky. You received a manual or algorithmic penalty. The penalty wiped out your Page 1 rankings across the board. You then worked hard to clean up a mess that got your website penalized by Google. It took a lot of research, emails and a reconsideration request, but Google saw the work you had done, accepted your admission of fault and promise not to do it again. Your website penalty is gone but you are now of page 15 of the search results. 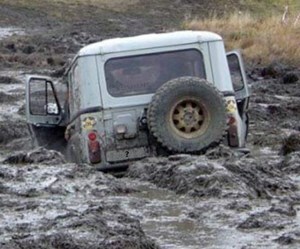 Feel like you are stuck in the mud? What do you do now? Hopefully your first thought will not be to go back to the methods that resulted in the penalty in the first place. Running out to buy a bunch of links to replace the ones you lost or throwing a bunch of blog articles out on the sites that accept them will only get you hit with a penalty again. And the next time it won’t be as much fun as the first time. If you show Google that you still cannot follow their guidelines you may find you site being completely deindexed! So how do you get back to Page 1? The first thing you need to realize is that your goal should not to get back to Page 1, it should be to become the best website possible. The website that is working to be the best will eventually end up on Page 1 by providing quality content that other sites want to link to naturally. It will begin to attract a larger following and it will draw readers into engaging with it via social media. All of these things will eventually move the website back to Page 1. The problem is that this is not a quick fix. Developing quality content, attracting visitors to your website and followers to engage with on social media takes time. You can also equate time to money and businesses want to get back to making money as quickly as possible so the temptation to violate the guidelines just a little is great. Don’t give into it! Review your website to correct any errors that have been lingering out there. This should include duplicate or missing titles, duplicate or missing meta descriptions, duplicate content issues, submitting xml sitemap, cleaning up code, optimizing images where possible, fixing 404 errors and so on. In short doing all those things that make your site clean and easy for Google to spider. Get on social media sites and begin engaging with your followers. Ensure that you have a solid social media strategy first and understand why you are on social media and what you expect to get from it. Begin providing quality content. Blogging is a great way to put out quality content that visitors will link to thereby developing natural backlinks. The last thing you should do is to continually monitor your backlink profile. This should include both inbound and outbound links. Although you will be working to establish natural backlinks this in no way ensures that those linking to your site will be following Google’s guidelines. You must be vigilant to ensure that some spammy site is not creating numerous links to you which could result in another penalty. When you find links such as this happening immediately request they be removed and if no action is taken disavow them to Google. Remember, you are the one ultimately responsible for what links to your website!